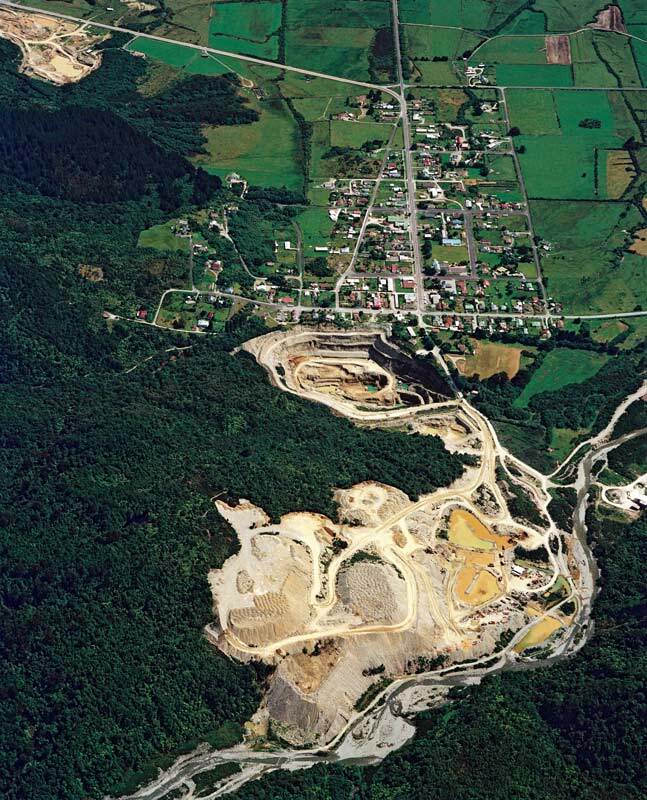 This aerial view of Ross shows the opencast mine that has been worked there since 1988. In the foreground is the area where waste rock is dumped. Ross is a large-scale mine digging alluvial gravels. The town itself is built on the gravel, and no doubt there is gold beneath it.